The department of education has announced that 75.8% of matriculants passed their 2014 National Senior Certificate (NSC) exams – but in real terms, the picture is far less rosy. Taking into account the number of drop-outs over the past 12 years, the real number of learners who managed to get a senior certificate sits quite a bit lower – at approximately 41.7%. According to statistics from the department of education, in 2003, 1,252,071 pupils entered into the South African public schooling system in grade 1 – these pupils would become the class of 2014. Fast forward 12 years, however, and only 688,660 of those learners made it through to pen their matric exams. This means that, in real terms, only 55% of the learners who started school in 2003 made it through 12 years of education – the rest were lost along the way. Put another way, with a pass rate of 75.8%, this means that only around 41.7% of learners who started school attained a NSC, while 59.2% did not. More alarming, that means only around 12% (150,752 learners) managed to gain admission to Bachelor studies. 30% in 3 other subjects. May fail (less than 30%) a 7th subject; further assessment dependent on institution. Cannot fail (less than 30%) any subjects. Put in this context, it is clear that the matric pass rate simply does not give the full picture of the state of education in South Africa. Specifically, the final announced number is meant only to show how many pupils managed to get access to further education and at which level. (See side panel). 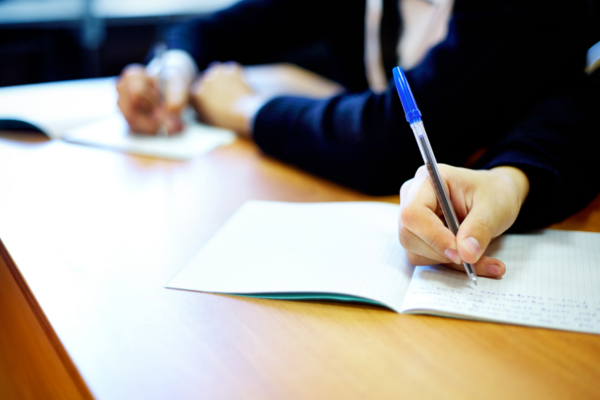 Further, this final statistic is affected by a number of other forces – such as the number of pupils writing; the subject spread amongst pupils; as well as top-performing schools skewing the average. 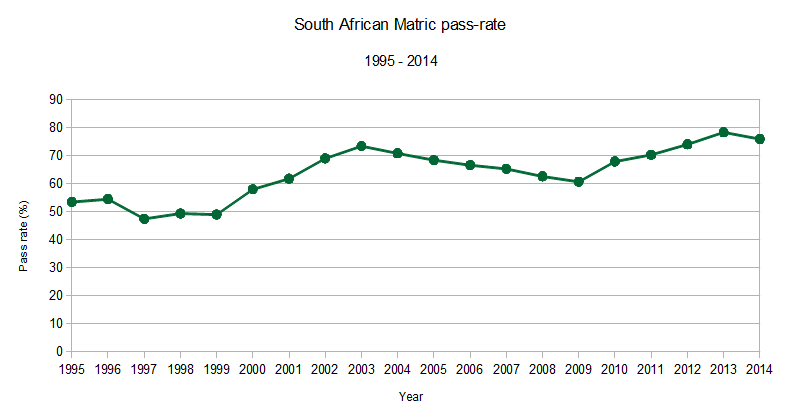 The matric pass rate showed a near miraculous increase under the Zuma leadership – hitting an all-time high of 78.2% in 2013. While many government officials are celebrating this growth, many academics and educational experts warn against associating the matric pass rate growth with a healthy education system. Theuns Eloff, former vice-chancellor at North-West University, said that the matric pass rate which increased from 60.6% in 2009 to 78.2% in 2013 is an illusion. Eloff said that there are many indicators which show that there is no improvement in the quality of education in South Africa. Free State vice-chancellor Jonathan Jansen previously said that the truth is that South Africa’s education system is a fraud. Academics and educational experts highlighted that the following issues should be considered when looking at South Africa’s matric results. Thousands of learners are taking Mathematics literacy instead of Mathematics, and thus nullifying the value of other subjects in their repertoire. Changes for SA matric pass mark?